Any gun owner who possesses a bump stock accessory for their gun is now in violation of federal law. Despite numerous lawsuits attempting to block the bump stock ban since it was implemented in December 2018, the 90-day period to turn in or destroy the accessories has ended, making their possession illegal under federal law as of March 26, according to the new Bureau of Alcohol, Tobacco, Firearms, and Explosives (ATF) rule. An estimated 500,000 bump stock accessories owned by Americans are now illegal, CNBC reported. 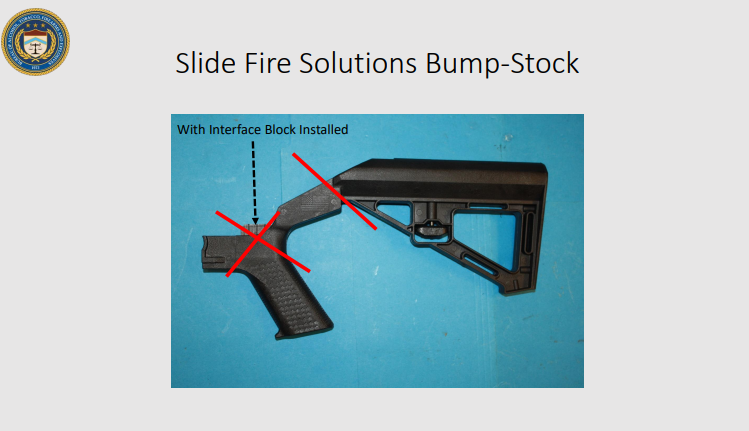 For destruction, regardless of manufacturer or model, a bump stock must be made incapable of being readily restored to its intended function by, for example, crushing, melting or shredding the bump stock. On Monday night, two separate emergency appeals were submitted to the Supreme Court requesting the ban be put on hold, but an immediate decision has not been made, CNN reported. Gun owner groups previously sued the Justice Department, but a federal judge ruled against the plaintiffs, affirming that the DOJ ban could go forward. The ban effectively reversed the ATF’s decision from 2010 that deemed bump stocks different from machine guns and unable to be subjected to the same regulation as machine guns. It amended the definition of “machine gun” to include “all bump-stock-type devices that harness recoil energy to facilitate the continuous operation of a semiautomatic long gun after a single pull of the trigger,” the ATF noted. 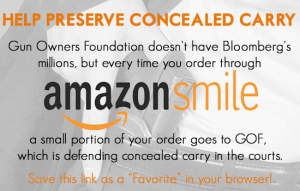 “We still feel that the regulation is a factual misreading of the statute, and that ultimately we will be vindicated on it,” Michael Hammond, the legislative counsel for Gun Owners of America, told CNBC. The group is one of several to sue the federal government over the ban. The accessory stands deemed as a machine gun despite the fact that a bump stock has no capability of firing when not attached to a gun.